Birds are part of every language and there are many colorful and creative bird idioms that are commonly used and popularly recognized by birders and non-birders alike. Understanding these idioms can help birders appreciate just how much birds are part of different cultures and what different bird references can mean in different contexts. But how many bird idioms actually relate accurately to the birds they mention? An idiom is a figurative expression that describes a situation in a creative or colorful way, rather than with literal, dryly factual descriptions. Idioms are often catchy phrases that are easily remembered and commonly understood, and they can be used in a variety of contexts depending on the tone of voice or the situation they describe. There are many bird-related idioms in different languages, and studying those idioms can help birders learn even more about the birds each expression references. There are dozens of bird idioms. Learning about the birds behind the idioms can help birders know more about not only the birds, but about how all birds are part of cultural expression and common languages. The Birds: Precocial ducks and geese can swim within hours of hatching without extensive instruction or parental guidance. These birds naturally know how to swim with ease. The Birds: Because birds can fly, they are often symbols of freedom with their ability to quickly and easily escape from troubles, dangers, or complications. The Birds: Albatrosses are large, formidable birds, can be difficult to identify, and are often nemesis birds for many birders. The Birds: The dodo is extinct and there is not much known about this bird, though it is often referenced as clumsy and idiotic, making its extinction inevitable. The Birds: Swans are often symbols of romance and beauty because of their white plumage and the graceful curves of their long necks. 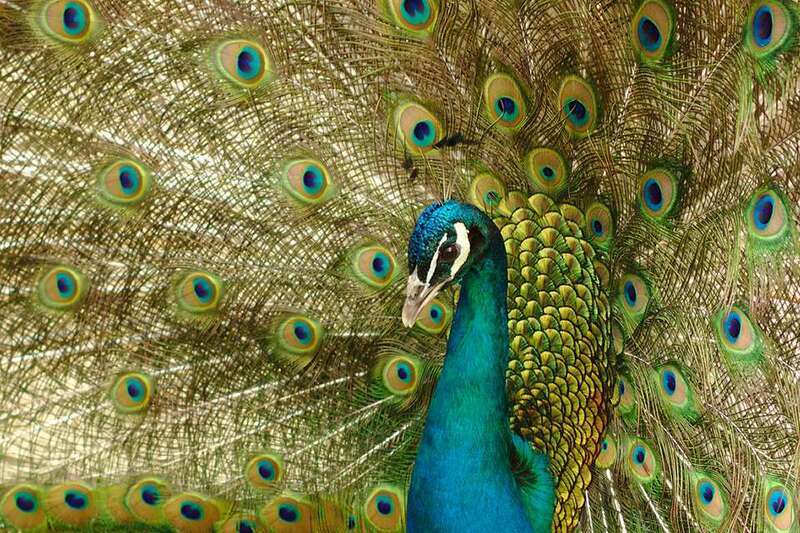 The Birds: The peacock's stunning tail (actually its uppertail coverts) is seen as a symbol of pride or showing off, just as the bird uses its tail to court a prospective mate. The Birds: Hens, like all birds, don't have teeth, so this idiom describes scarcity. Birds don't need teeth, however, as their bill shapes are adapted to different foods and foraging styles. The Birds: Birds do not rely on roads or established routes, and instead can fly direct to their destination, easily soaring above obstacles. The Birds: Many birds are gregarious and congregate in flocks, though the flocks are not always just a single type of bird and mixed flocks are common, especially in winter. The Birds: Birds have superior senses, especially vision, and top predators such as raptors have exceptional eyesight, spotting prey from incredible distances. The Birds: Many birds forage early in the day and are more likely to successfully find food before other birds are feeding. The Birds: While birds don't eat lightly and can spend much of each day foraging, they are often picky, sorting through mixed birdseed to find just the morsels they want. The Birds: Birds often feather their actual nests with soft material to cushion their eggs and young chicks, improving survival rates among offspring. The Birds: There are many nocturnal birds that are highly active after dark, and many other birds are crepuscular, being most active at twilight and dawn. The Birds: Many baby birds are unattractive before they develop feathers, but they will eventually grow outstanding plumage. The Birds: Young birds rely on the protection and guidance of their parents, which often includes sheltering under parent birds' wings to stay hidden or for temperature control. The Birds: Aquatic birds make heavy use of their uropygial gland as they preen, coating their feathers with waterproofing oil that keeps their plumage protected even underwater. The Birds: Many rails have flexible bodies and can slip between closely packed reeds or grasses without disturbing the foliage. This is ideal camouflage, and gives the impression that the birds are very thin. The Birds: Larks have very melodious songs with cheerful notes and happy tunes, and they are often cultural symbols of joy, good fortune, or cheerfulness. The Birds: Many loons have strange, haunting calls that can resemble crazy or disturbed laughter, distinctive vocalizations that can help identify loons easily. There are many more bird idioms and descriptive phrases that include avian imagery, and they are popular parts of language in many ways. There are many different ways to interpret bird idioms, but each one can be a fun part of birder's vocabulary.